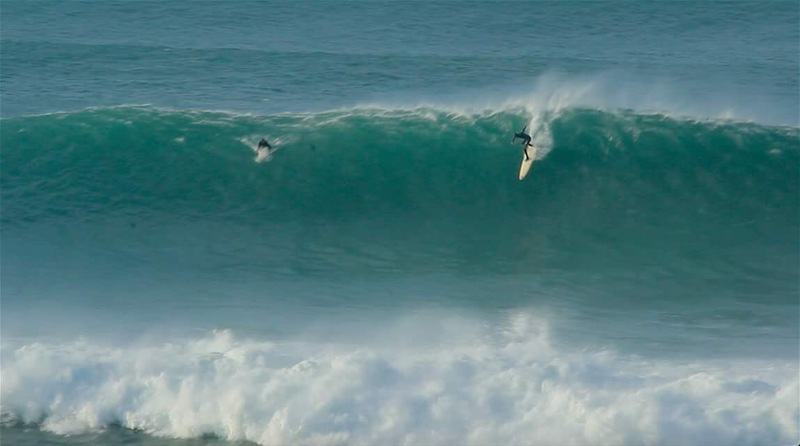 Virtually the entire coastline of Western Europe has been firing for the last two days, and we’ve decided to wade through the reams of coverage it has received on social media to bring you the very best of it. “I’ve been super keen to surf the Cribbar ever since I saw a couple of shots of the boys charging on the last big swell! I checked the forecast mid week and saw the hype for the swell to come, yet I didn’t really take much notice as this time of year conditions can change in a matter of hours. After getting a message from George Hudson letting me know it’s on I found the biggest board I could! The paddle out was the scariest part, having to wrestle the 6ft shorey with an 8ft gun. Once we were out I spent about 15 minutes looking into bus wide tubes sat in the channel. You can see a full gallery of shots from the same day at the Cribbar here. Ireland was also throwing up some pretty big and throaty ones on Friday, however the best of the content is yet to trickle out online. One thing we do know though is that Mullughmore has been pretty mental, with Cornish charger Tom Lowe heading up there on a solo mission a few days before Christmas, however things almost ended in disaster for Tom when he took a heavy wipeout on a giant one- you can read his harrowing first hand account of the experience here. The BWT comp at Nazare was quickly called on for the following Tuesday. Check out all the highlights and a round up of the action here.